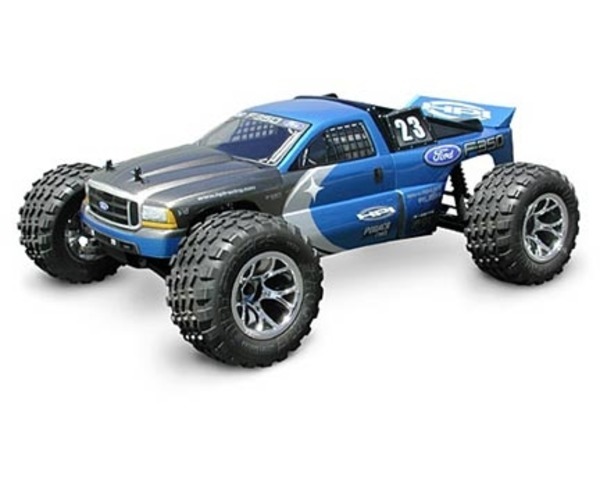 HPI Nitro Rush truck kit. truck's chassis and provides the "shape" of the truck. light weight clear polycarbonate body. Molded polycarbonate wing (must be cut from the rear of the body). Scissors (DTXR1150) to cut out the body.